Inspire chic finesse in your casual line-up with this t-shirt from Miss Chase. 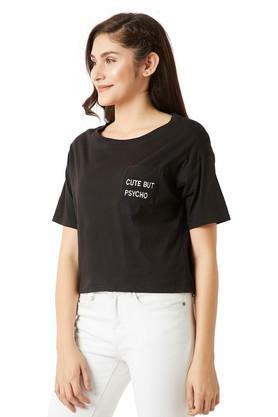 Made from cotton fabric, this t-shirt fits your personality so perfectly that you will love it instantly. 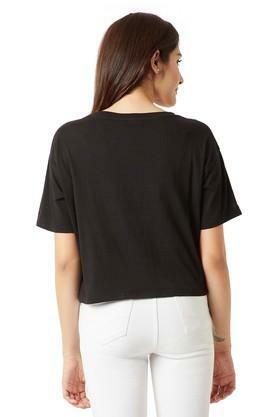 Featuring a round neck, half sleeves and solid pattern, this t-shirt holds a superlative allure. 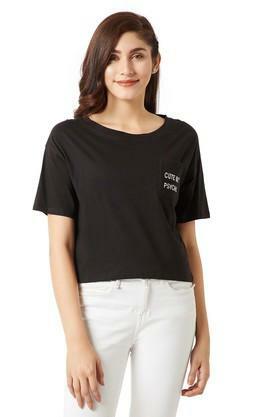 For women who prioritize comfort, this t-shirt is a must-buy. 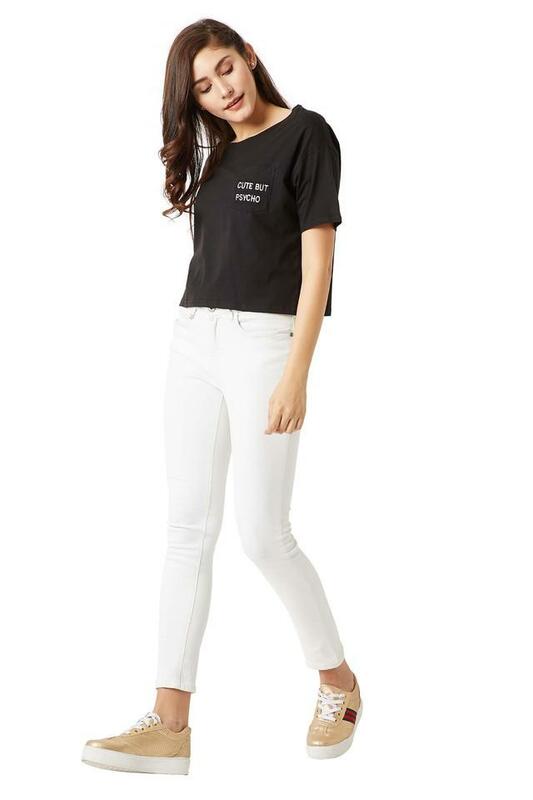 Team this t-shirt with a pair of distressed jeans and matching strappy sandals for a cool casual look.